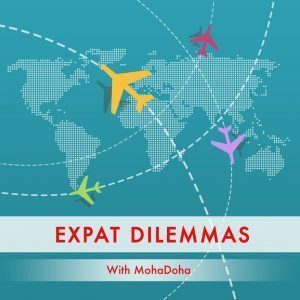 Thanks to everyone who tuned in for All the Single Ladies, episode one, of the Expat Dilemmas podcast. For our second session, we turn to the second most popular subject of living away from home: family. Caring for ill parents, making it to death beds, and flying in for funerals may not be fun, but they are familiar if you’ve been overseas for any length of time. If you’d like to send me a voice note on either of these topics, please do by emailing mohadoha2005@gmail.com or leave a comment below. Also taking your thoughts on holidays away from home for the next episode!